Sunshine in the Attic: X Quilt Complete! A baby shower for my coworker and her husband was my entertainment last evening. 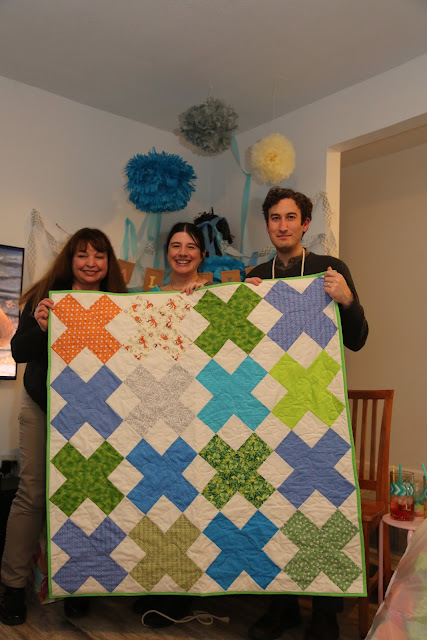 I wanted my quilt for the baby to have a modern feel and created my own X design and used mostly scrappy blues and greens. 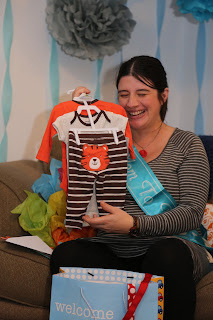 The baby's theme is woodland animals and specifically foxes, as is popular today. This fox fabric was found at Quilt Crossings in Boise. Here is the label for the back of the quilt. The design is traced on with micron pen and some color added with fabric markers. The "Sweet Dreams Little one" is a free design from Nana & Co. you can find here. And her free darling pillow case tutorial is here. Here is a pillow case in process based on the pillow case design from Nana Co. I thought about creating a sleepy fox design for the embroidery, but in the end went ahead and bought this cute design from Nana Co. for $3.50 since I love it! Quilt Specifications: This quilt finishes at 44" square. There is not a specific block, but I cut out the pieces and laid them out and then sewed them together in 4 sections before sewing them all together. Here are the cutting directions for future reference: the long part of the X is 4 1/2 x 12 1/2" and the side squares and background squares are all 4 1/2". The setting triangles are 5" squares cut in half diagonally once and the corner square triangles and 5 1/2" cut diagonally twice. Fox bucket with advice cards. 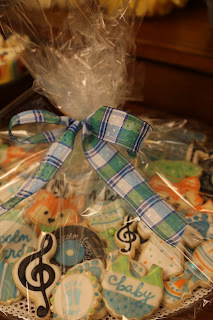 Cookies made by Liz (can you spot the foxes)! Dave loves to dress up! So many darling clothes, books, and all kinds of wonderful! The sweet couple were a little overwhelmed and very appreciative. I'm so lucky to work with such a talented and generous group! This quilt is so cute! You do the best work. Izzy loves her "duck, duck, goose" quilt so much that she doesn't like her brothers to touch it lol. What a lovely baby quilt and I love your hand embroidery...I know it will have a special place in this baby's life ( I know my- almost 32 yr old daughter still has her baby quilt safe that was made by a co-worker for my shower). 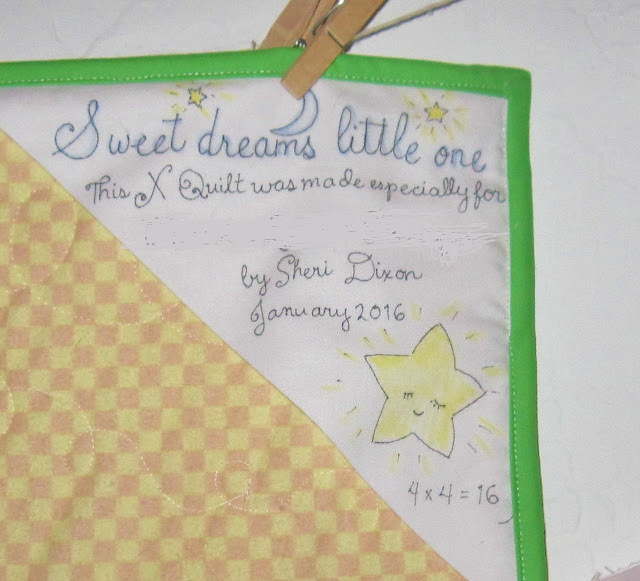 Your baby quilt is a very generous size too- so baby will be able to use for a long time to come! good thinking! Great quilt. I'm sure it will be loved. 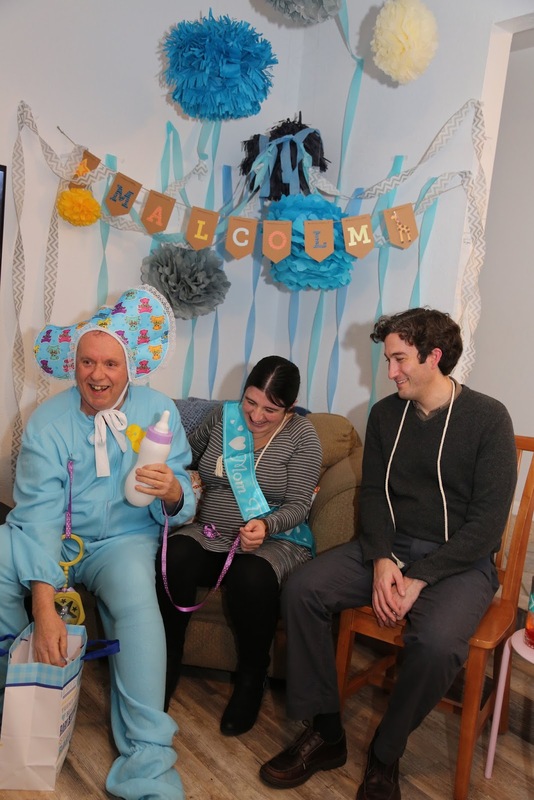 Looks like a fun time at the shower. Thanks for sharing the link, I'll check it out. Wow! I bet you will be invited to baby showers for people you don't even know! lol These are just awesome gifts - I love every detail. 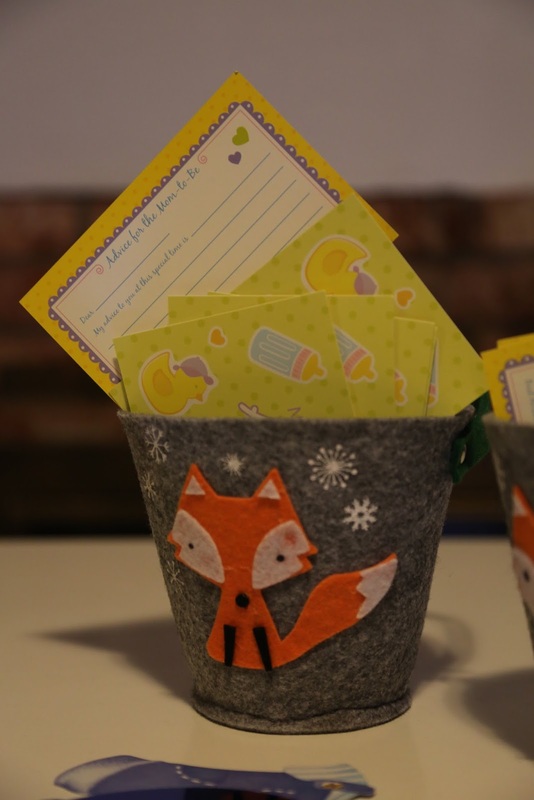 The little fox fabrics are the sweetest! What a perfect baby quilt!! I love your fabrics, and how you found that pretty fox fabric to include! Your quilting is beautiful, too. The pillow will be charming! Looks like so much fun ! !